Materials key: W-walnut, H-hardboard. Supplies: #8x1 '/>" flathead wood screws (4), %" plugs W long (4), Vi" dowel pins 11/>" long (10), sawtooth hanger, VM2v4x25'/4" mirror, stain, polyurethane. 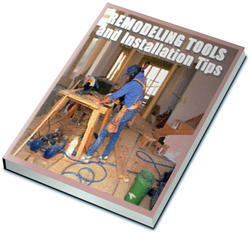 Plane or resaw to thicknesses listed in the Materials List. Looking for a stylish, original bunk bed design? 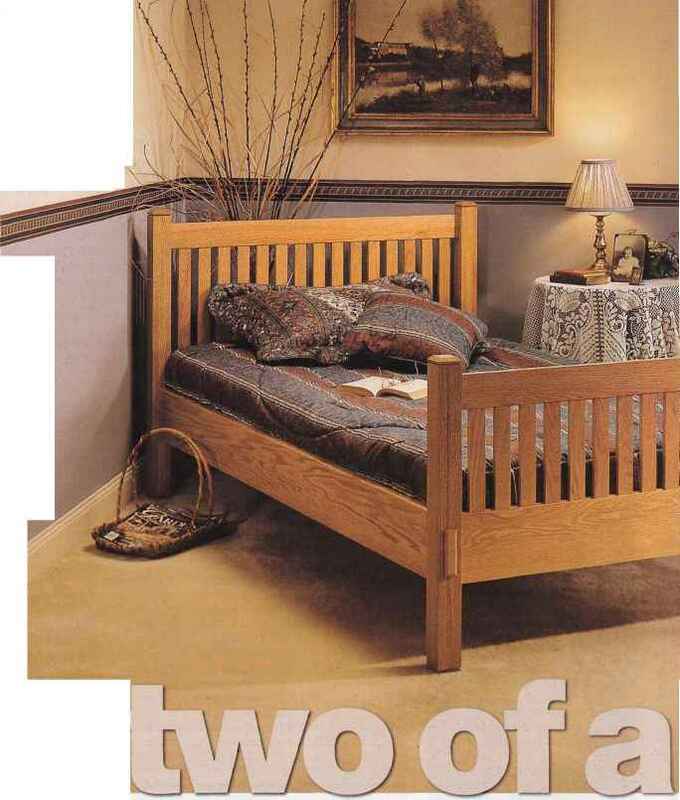 How about just a terrific-looking twin bed? This versatile project suits both interests. 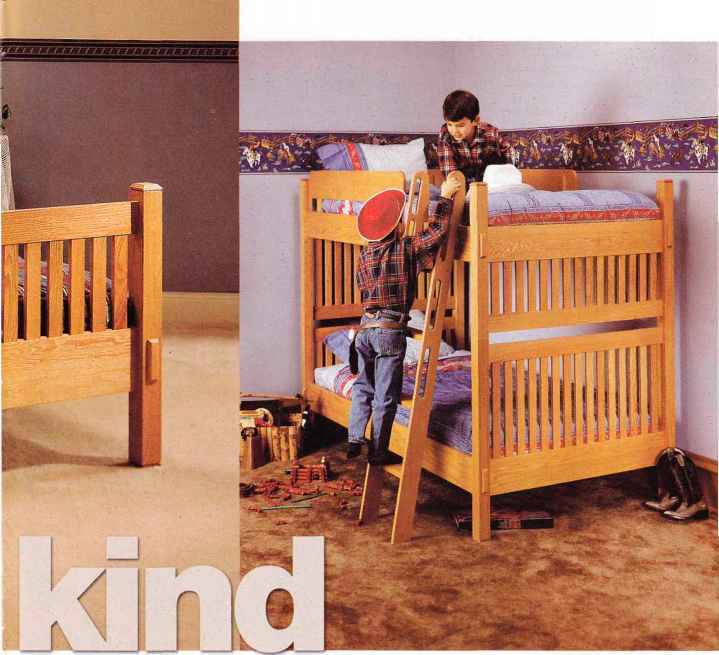 For bunk beds, simply invert one bed on top of the other, and reposition its plywood mattress support, Best of all, this size fits kids and adults alike. From toddlers to teens, we've got your young ones covered with this selection of sturdy furniture. These timeless projects will handle plenty of use and abuse for years to come. Note: Our bed was designed to fit a 39x75" twin mattress. Adjust accordingly for a different size mattress. The how-to instructions are for one bed. 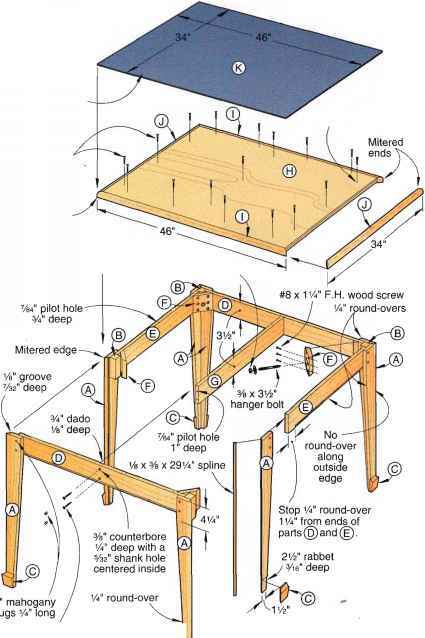 The Materials List and Cutting Diagram tell you what you need for making two beds.